Here we produce and market beautiful, fun-filled and educationally sound books for young readers. While our books are designed to entertain and hone language skills, our highest goal is to engage children in an exploration of positive values. Whether the issue is sharing, doing a job well, dealing with bullies, or perseverance, our stories emphasize thought and formulation of character-building decisions. 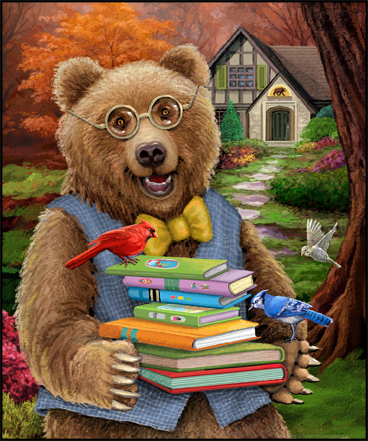 Available in eBook, Paperback and Hardcover editions, Bright Bear Books are friendly and helpful companions for children beginning their journey along a life-long path of reading adventures. Copyright © 2019 Diana Kizlauskas | Theme by SiteOrigin.